Today, with a computer in every pocket, complete with a telephone and a camera, it is difficult to grasp how novel this invention actually is and how fundamentally it has changed the world. The first computers were enormous, complex machines based on vacuum tubes, capacitors and resistors. Though limited in their computational capabilities in comparison with the sophisticated computers available now, those early computers could do quite a bit. In order to build the first computer in Israel, the Weizmann Institute of Science spent nearly a fifth of its annual budget. This computer – WEIZAC, an acronym for Weizmann Automatic Computer – was fully assembled in Israel, at the cost of around $50,000 – equivalent to about a half a million in today’s dollars. The computer took up the space of one large auditorium. A single piece of it is currently on display at the Weizmann Institute and takes up an entire wall. 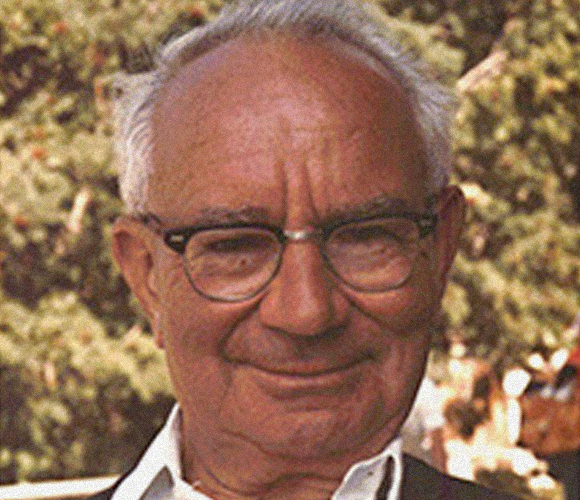 It was Prof. Chaim Leib Pekeris, founder of the Weizmann Institute’s Department of Applied Mathematics, who insisted on building the computer. Before coming to Israel, Pekeris worked at the Institute for Advanced Study at Princeton University in the USA, alongside some of the greatest minds of that time, including Albert Einstein, John von Neumann, Kurt Gödel, Wolfgang Pauli, and others. Pekeris, a Zionist, used his connections in the USA to assist the Haganah organization in buying military supplies. This led Chaim Weizmann, then-head of the Sieff Institute (which would later become the Weizmann Institute), to approach him with the suggestion of joining and establishing here the Department of Applied Mathematics. Pekeris’ main condition: that a computer would be put at his disposal. This took place seventy years ago, around the time of the declaration of Israel’s independence. Unlike today, when almost every grade-school student owns a computer, in those days there was only a handful of computers worldwide, mostly at large research institutes in the USA and the UK. Even von Neumann, father of the modern computer, did not foresee at the time just how deeply computers would influence the acceleration of technology and research, so such a large investment was not to be taken lightly. To pressure Weizmann, Pekeris established an advisory committee including Robert Oppenheimer (who led the Manhattan Project), Einstein, and von Neumann himself, who was mostly known for his contribution to set theory, mathematical logic and game theory, but had also designed the groundbreaking computer that Pekeris worked with at Princeton. Arriving at the Weizmann Institute after working side by side some of the greatest minds of his generation like Einstein and von Neumann. Prof. Chaim Leib Pekeris | Source: Wikipedia. The committee eventually approved funding, and Pekeris made Aliyah and began designing the computer. Nowadays a leader in the percentage of engineers in the population, Israel in those years did not have a single person who could run such a project. Pekeris recruited Gerald Estrin from Princeton, who worked with von Neumann on building Princeton’s computer. Here, Estrin recruited a local team to build the computer according to von Neumann's blueprints. The computers built at that time were unique and different from one another, as each one was built according to a singular design and specific idea. The great innovation of von Neumann’s computer, on which the WEIZAC was also based, was that the software was “stored in the memory” of the computer – not in the hardware. Today’s computer design is based on the Von Neumann architecture, so the separation between software and hardware seems almost trivial to us. However, early in the computer age, the separation was between information and instructions. The instructions, which would become the foundations of software, were implemented through a physical modification of the connections between the different computer components, by connecting and disconnecting cables and closing electric circuits. Information was fed input via the standard input means of those days, punched cards. The great idea that von Neumann promoted was that instructions, too, could be represented with punched cards. This enabled the computer to run diverse software without the need for complicated hardware modifications required by earlier computers. Modern computers are also built according to this architecture, with the central processing unit (CPU) incorporating the two main components in von Neumann’s computer, along with a random-access memory (RAM) component. The technology available at the time allowed the team to build a computer with 4,096 40-bit "words", four times more than Princeton’s computer, which contained only 1,024 words. In comparison, a modern 4GB memory contains 780,000 times as many bits. As there was no standard technical specification for computers at the time, the basic unit of memory (“word”), differed from computer to computer. At a later point it was unified, and all subsequent computers used 4-byte words, i.e., 32 bits, which is still the standard today (32-bit operating systems). The computer was composed of imported vacuum tubes, capacitors, and resistors, but due to a shortage of adequate factories, some components were manufactured at a local factory for bicycle parts. Eventually, the computer’s assembly was completed ahead of schedule, and it was first operated using a temporary memory of only 1,024 words, since the custom 4,096-word memory component was not ready at the time. Pekeris, who wanted a large ceremony to mark the computer’s first run, invited Institute and state dignitaries for the turning on of the switch. But due to design errors, immediately after its initial operation, a small fire broke in the computer’s hall, and the honorable guests fled for their lives. After the required repairs, the computer was finally switched on successfully in October 1955, and calculated the root of a complex number – a computation considered to be complicated at the time. Once the memory was upgraded to the state-of-the-art 4,096-word memory, WEIZAC was one of the world’s four fastest computers, 500 times faster than the one Pekeris worked on in Princeton. Since then, and for the following ten years, WEIZAC worked almost non-stop, 24 hours a day, seven days a week. In order to make this possible, Shimon Peres, then Director General of the Ministry of Defense, recruited a Polish and Christian PhD student, Krzysztof Frankowski, who was mentored by Pekeris, to the operation team, so that he could run the computer on Saturdays and Jewish holidays. Despite the skepticism in early discussions of the computer’s actual necessity, once it began operating, its computation time was in great demand. Pekeris, its proponent and intrepid director, allocated most of the computation time to basic research performed by scientists of the Weizmann Institute of Science. The Israeli Defense Forces (IDF) was also allotted a daily hour (2-3 AM). Some of the time was also allocated to the Israel Central Bureau of Statistics, mining and oil exploration companies, scientists from other universities, and others. Courses on fundamentals of computer use were given at the Weizmann Institute for scientists from all over the country, and to soldiers who would later establish the military computing unit, MAMRAM. To a very large extent, WEIZAC has the claim on being “Israel’s first computer”, at least until other organizations, including universities and the IDF, bought additional computers. The studies that utilized the WEIZAC were numerous and diverse – in chemistry, geology, seismology, particle physics, applied mathematics, and of course, computer science. One of the most heavily used computers of the time, WEIZAC provided an excellent demonstration of the power of this new technology as a catalyzer of scientific research with its variety of uses. In addition, it turned the spotlight on the Weizmann Institute, helping to establish its place in the international scientific community, along with other Israeli research institutions. In 1959, after four years of activity, the WEIZAC began wearing down, and the computing staff at the Institute began designing its replacement, dubbed “Golem1”. 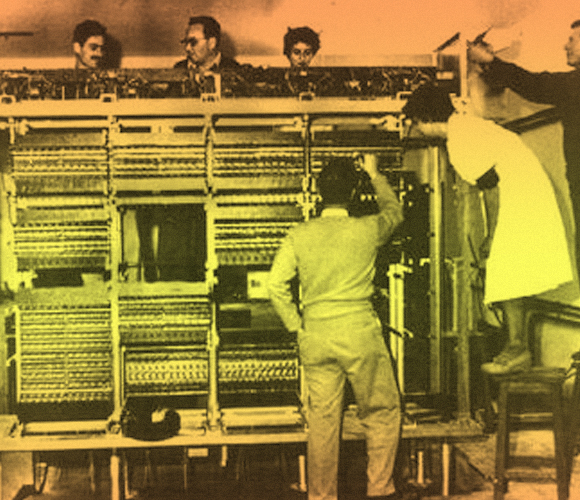 WEIZAC ceased its activity at the end of 1963, with the arrival in Rehovot of a new computer made by CDC, one of the first companies to commercially manufacture computers, as a temporary replacement until the Golem project was finished. A part of WEIZAC is on display in the lobby of the Faulty of Mathematics and Computer Science’s building at the Institute. You are welcome to visit. In 2006, the Institute of Electrical and Electronics Engineers (IEEE) declared WEIZAC a historical milestone, and awarded a medal to its designers, assemblers and operators. The idea that such a young and small country would invest so many resources in manufacturing a product whose benefits were not known at the time was quite a leap of faith; in hindsight, one with a crucial impact on Israel’s leading status in the field until this very day. The original version in Hebrew is based on Ran Levi's podcast "Making History".